1. 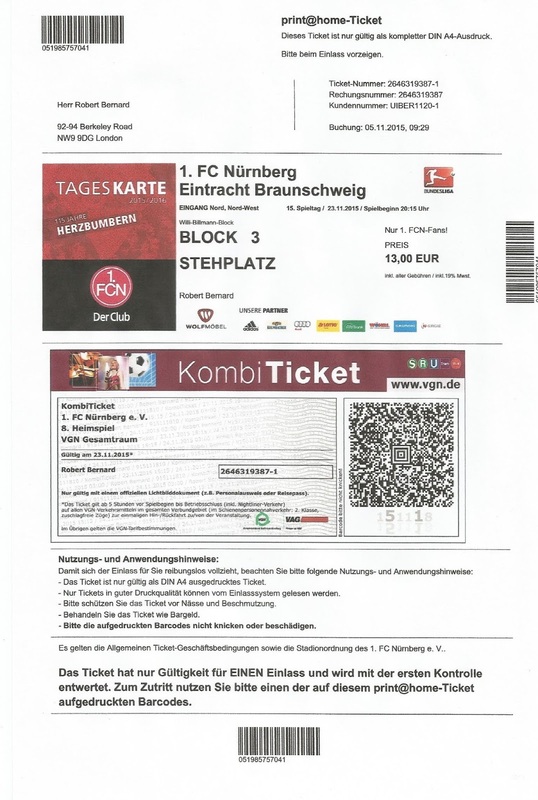 FC Nürnberg, or 1. Fußball-Club Nürnberg Verein für Leibesübungen e. V. in full, is a professional football club from the city of Nuremberg in the German state of Bavaria in the south of the country. The club was formed on the 4th May 1900 by eighteen young men in the Burenhütte pub as an alternative to rugby, which was popular at the time. Nürnberg soon became successful and won an early Bavarian championship. Following World War One the club quickly imposed itself as one of the big names in German football from their home ground in the Zerzabelshof district of the city. 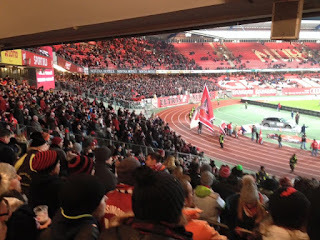 Nürnberg became known as ‘Der Club’ in many quarters for their dominance of the period. In 1920 Nürnberg were crowned champions of Germany as they won the final championship game 2-0 against title holders and near neighbours, SpVgg Fürth in Frankfurt. The title was retained the following year as Berliner FC Vorwärts 1890 were defeated 5-0 in Düsseldorf. 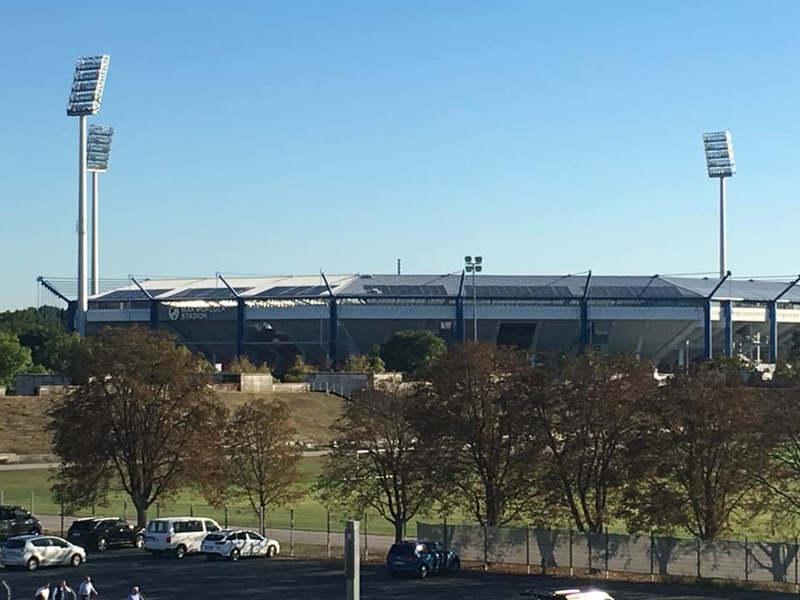 The 1922 final between Nürnberg and Hamburger SV was never completed. 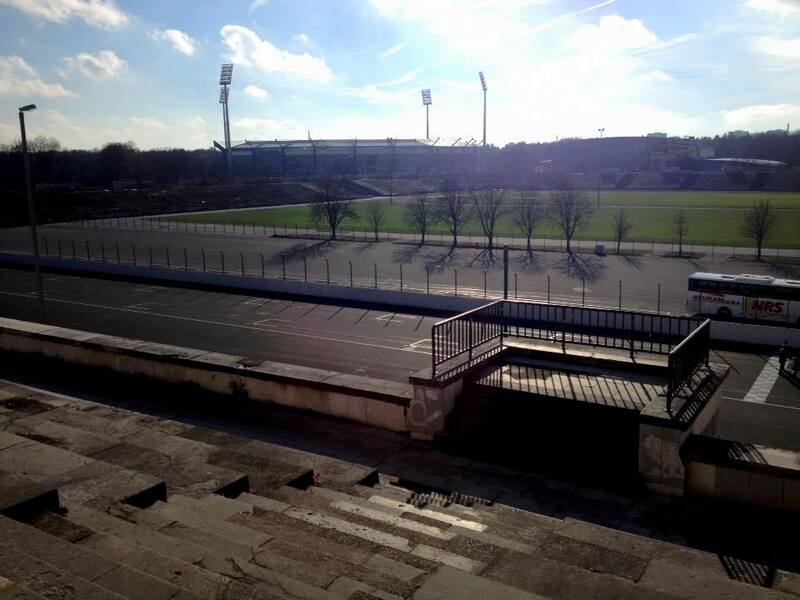 The first game in Berlin was called off in extra time with the score standing at 2-2. It was deemed too dark to carry on. The replay in Leipzig was 1-1 when Nürnberg went down to just seven men through injury. The referee wrongly deemed that they should not be allowed to continue and abandoned the game. The DFB awarded the tie to Hamburg, although the trophy was never presented. There was little doubt of the winner when the same two sides lined up in Berlin in 1924 as Nürnberg lifted their third title with a 2-0 victory. They made it four the following year with a replay victory over FSV Frankfurt in Frankfurt. 1927 proved to be the end of the glory years, as ‘Der Altmeister’ (The Old Master) defeated Hertha BSC 2-0 in Berlin. 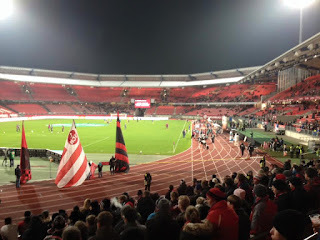 The period ended with Nürnberg winning five national championships as well as the whole club also collected six Süddeutsche Meisterschaft titles, two Ostkreis-Liga’s, two Kreisliga Nordbayern and three Bezirksliga Bayern championships. In 1934, Nürnberg lost in the championship final to Schalke 04, a team who would go on to dominate the period under the rule of the Third Reich. Under the regime, football was divided into sixteen regional top-flight divisions, with Nürnberg being placed into Gauliga Bayern, which they went on to win five times between 1934 and 1940. In 1935 Nürnberg won the Tschammer-Pokal as the German Cup/DFB-Pokal was known as the time following a 2-0 win in Berlin over Schalke 04. In 1936 the club once again became German champions following a final victory over Fortuna Düsseldorf after a replay in Berlin. 1939 saw the second Tschammer-Pokal go back to Zerzabelshof as Waldhof Mannheim were defeated 2-0 in Berlin. After peace resumed, the club were placed in Oberliga Süd. Nürnberg won the title in 1947 and then 1948, when they went on to win the national title as 1. 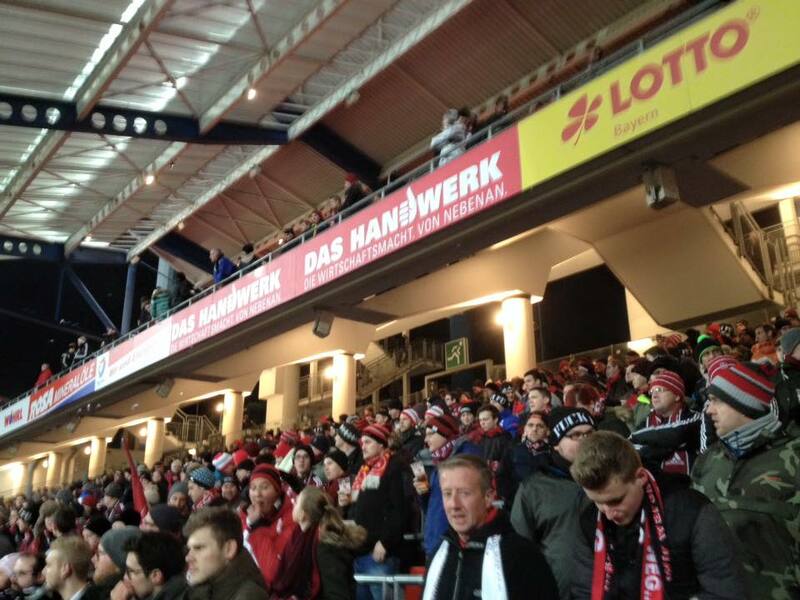 FC Kaiserslautern were defeated 2-1 in the final in Cologne. Further Oberliga Süd titles arrived in 1951, 1957, 1961 and 1962. The 1961 title went on to become a German national title as Borussia Dortmund were defeated 3-0 in Hannover. Fortuna Düsseldorf were beaten 2-1 to lift the DFB-Pokal in 1962 to complete the double, before the formation of the professional Bundesliga in 1963. 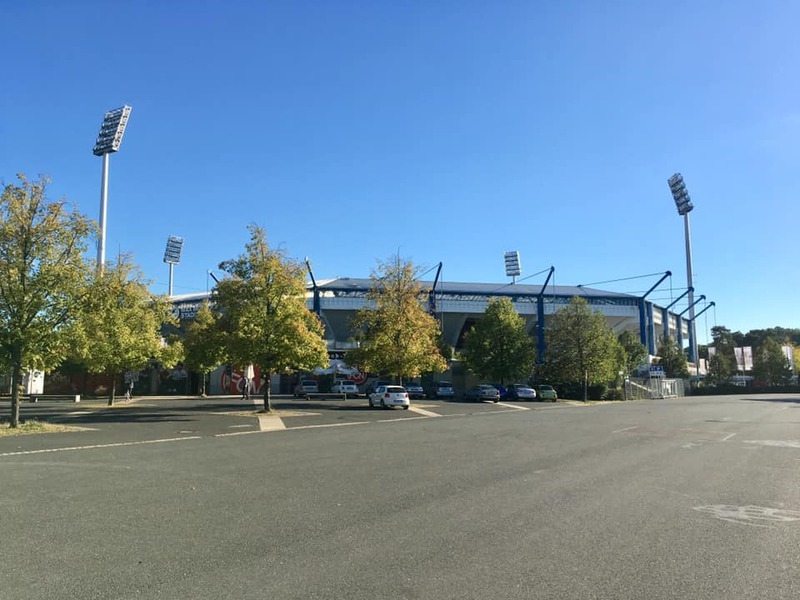 Nürnberg became founder members and moved into the historic Frankenstadion at the same time. The hero of the period was Max Morlock. The striker appeared over nine hundred times for the club, scoring around seven hundred goals. 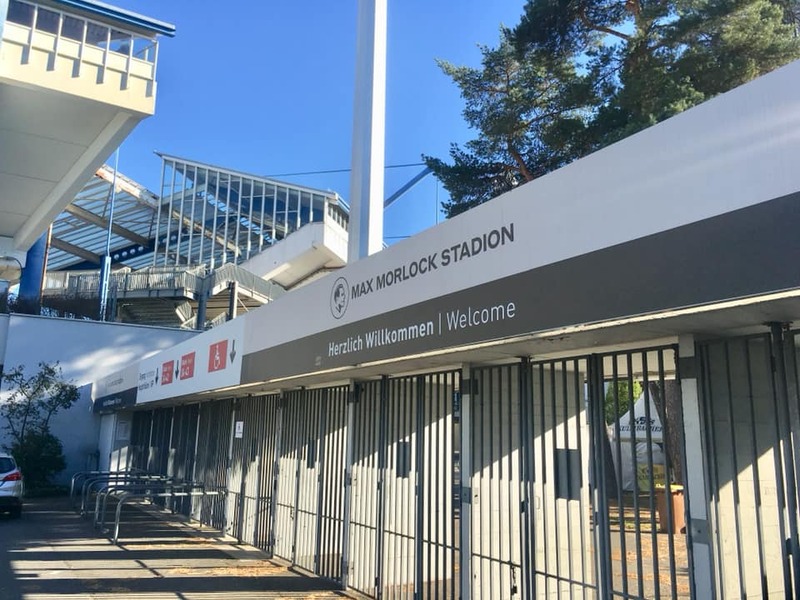 Morlock had scored the opening goal for West Germany against Hungary in the 1954 World Cup Final. He won the Bundesliga in 1948 and 1961 and in 1962 the German Cup. At 38 years old he even appeared 21 times in the founding season of the Bundesliga. After a series of mid-table finishes Nürnberg went on to be crowned as Bundesliga champions in 1967-68 under head coach Max Merkel. Merkel decided to replace his experienced team of aging players with a dozen newcomers. The move backfired drastically as Nürnberg were relegated. Nürnberg went down to Regionalliga Süd and then the newly formed 2. Bundesliga in 1974. The team were promoted back to the top flight in 1978, but went straight back down after just one season. Not to be deterred, they won an immediate promotion. During the 1980’s a friendly relationship was formed between the fans of Der Club and those of Schalke 04. 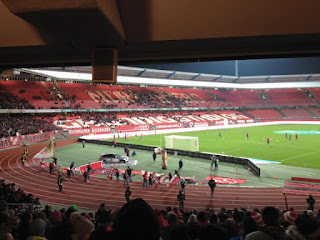 The 1995-96 season saw Nürnberg back in the second flight, when financial problems led to the club being deducted six points, which led to relegation to the third tier Regionalliga Süd. The team picked themselves up and won Regionalliga Süd at the first attempt. Under the stewardship of Felix Magath the team continued the run and won promotion to the Bundesliga in 1997-98. Once again Nürnberg were demoted at the first time of asking. This time it was quite unexpected; even on the final day of the season. Nürnberg went into the game in twelfth place and three points clear of the relegation zone. 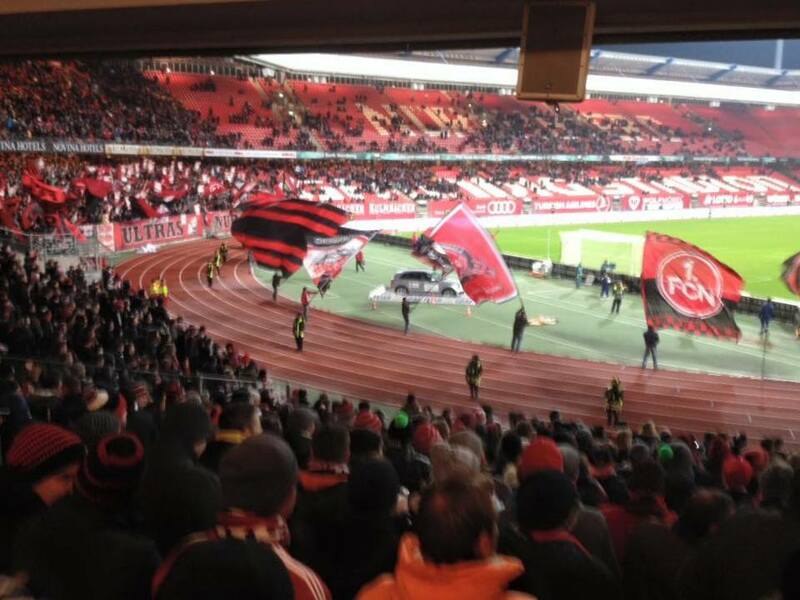 Remarkably every side below Der Club won, while Nürnberg lost 2-1 at home to SC Freiburg. The club were made to look a little silly as they had already started to sell tickets for the top flight for the following season. Former German international star Klaus Augenthaler led the side back up as champions in 2000-01. This time they lasted for two seasons in the Bundesliga before suffering yet another relegation. In 2003-04 it would be the turn of Wolfgang Wolf’s line up to retain their top flight status as 2. Bundesliga champions. Over the following three seasons, Nürnberg secured a sixth and eighth place finish. In 2007 the club lifted the DFB-Pokal with a 3-2 extra time victory over VfB Stuttgart. Relegation followed at the end of the 2007-08 campaign despite the efforts of forward Jan Koller. Nobody could ever accuse of the club lying down after such a setback. Dieter Hecking took the team back up in 2008-09, again at the first attempt. The 2010-11 season saw Nürnberg finish in sixth place, their best for several years. 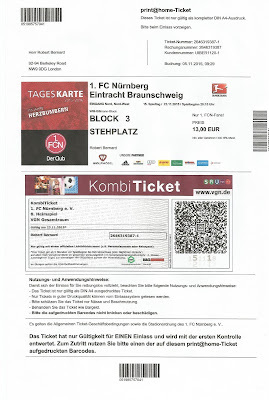 After two tenth place finishes, Nürnberg were relegated at the conclusion of the 2013-14 season. René Weiler was put in charge of the team in November 2014. The Swiss led them to a ninth place finish at the end of the campaign. The team improved in 2015-16 finishing in third spot and qualifying for the play-off against Eintracht Frankfurt. Der Club lost on aggregate to remain in the second tier, with Weiler being replaced by Alois Schwartz. An eventual twelfth place finish led to the departure of Schwartz, with Michael Köllner arriving in his place. Fan power eventually won the day when the latest stadium sponsorship deal ran out, with Frankenstadion being renamed Max-Morlock-Stadion in July 2017. It would appear that the popular move inspired the team as they finished as 2. Bundesliga runners-up, only missing out on the title as they were overtaken when eventual champions Fortuna Düsseldorf won the final day decider in Nuremberg. The goals of Hanno Behrans and Mikael Ishak proved too much for opposing defences throughout the season. 1. FC Nürnberg will play in the Bundesliga in the 2018-19 season. It’s fair to say that my first visit to Nuremberg was anything but dull. I was with brothers Paul and Nick, who were celebrating my fiftieth birthday weekend. 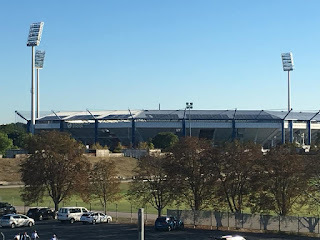 The morning had been spent in Berlin, where we’d seen Hertha defeat Hoffenheim the previous day. Following some sightseeing it was time to head to Tegel Airport for our internal flight. We hadn’t checked in online as we’d presumed that the flight was unlikely to be busy and we hoped to sit next to each other. We were in for an awful shock. The lady behind the counter broke the news that the flight was full and we were only on stand by. Air Berlin had oversold the flight on the basis that some people generally don’t show and they want a full flight. To say I was stunned was an understatement. I really tried to get my head around it. Paul and Nick also offered their thoughts. Another member of staff tried a bit harder to resolve the issue, but the best that they could do was to tell us to go to the departure gate and wait. We plonked ourselves right by the desk and agreed that we’d attempt to remain calm. The supervisor arrived and said that they thought that there would be two seats available. Paul kindly offered us the seats and he would head back and get on with some work. Suddenly we were told that there was only one definite seat. It was agreed that I would go, with the others heading down on the 5.40pm service. I could take the luggage and book us into the hotel before meeting up at the station so we could all head to the game. At the last minute I was told that there were no seats as a member of staff was heading to Nuremberg in the final seat. We were assured that all three of us were guaranteed seats on the later plane and to head to the Air Berlin Ticket Desk in the other terminal. 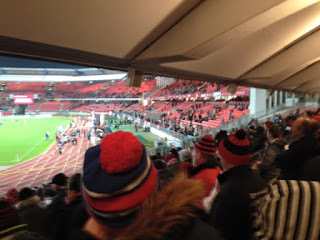 While not especially happy, it at least meant that we would get to the match in time. It was one of those things. We were caught out by not checking in online, although the policy of over filling flights was definitely wrong. How people without IT skills were meant to cope was anyone’s guess? The young lady at the ticket desk was a brilliant ambassador and a great lesson in how to act in customer service. She sympathised and apologised without being patronising. We were each going to receive €250 as well as some water, crisps and chocolate. I thought this was more than fare. If only every company got me to a game a little nearer to kick off, but paid me like that! The Eibacher Hof Hotel in Nuremberg were most helpful. I received codes to collect the keys as the reception would be closed when we arrived after the game. Sadly Tegel had limited facilities for us to fill our time, but we did our best. I had a relaxing nap before it was time to go through customs for a second time! The plane was propeller powered and small, with only four seats on each row. There was plenty of leg room and the two air hostesses gave everyone a drink and snack on the hour flight. I managed a bit more shut eye and could see the stadium as we approached the city. We got a small chocolate as we disembarked. In no time at all we were through the airport and downstairs waiting to take the U2 train to Hauptbanhof. It was yet another impressive main station, with plentiful lockers so that we could leave our luggage. 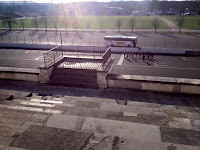 It was then back upstairs, where the S2 train arrived to take us directly to the Frankenstadion stop. As ever, the match ticket, which cost €11.50 and printed at home, covered local travel on the day of the game. The s’Gartla bar had fires burning in the yard to entice in customers on a very cold night. We passed on that, but grabbed some food and a gluhwein, while checking out the wide array of t-shirts and scarves on offer at a temporary stand. Security to enter the arena was tighter than usual, as the day before in Berlin, owing to the Paris atrocities a week earlier. We were still inside the grounds fifteen minutes before kick off despite all the delays. 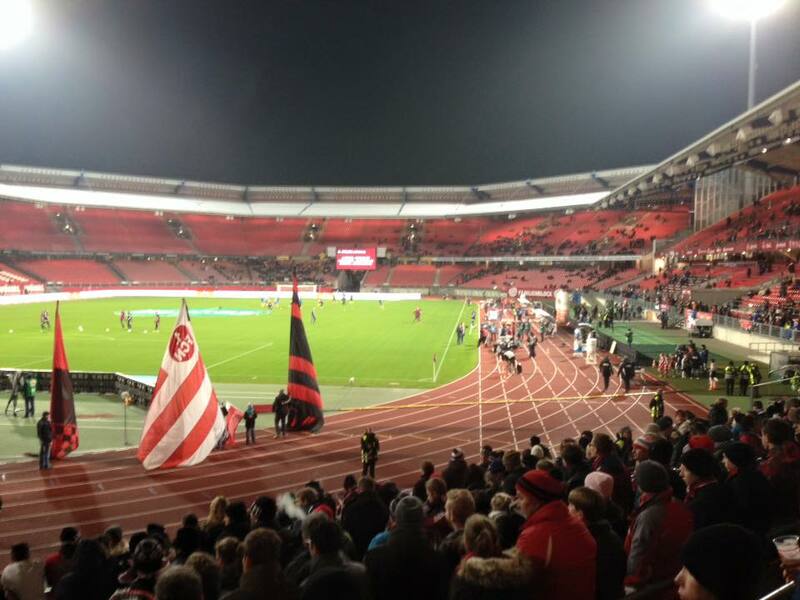 Our tickets were for the standing section on the Südkurve in Block 3, towards the corner. 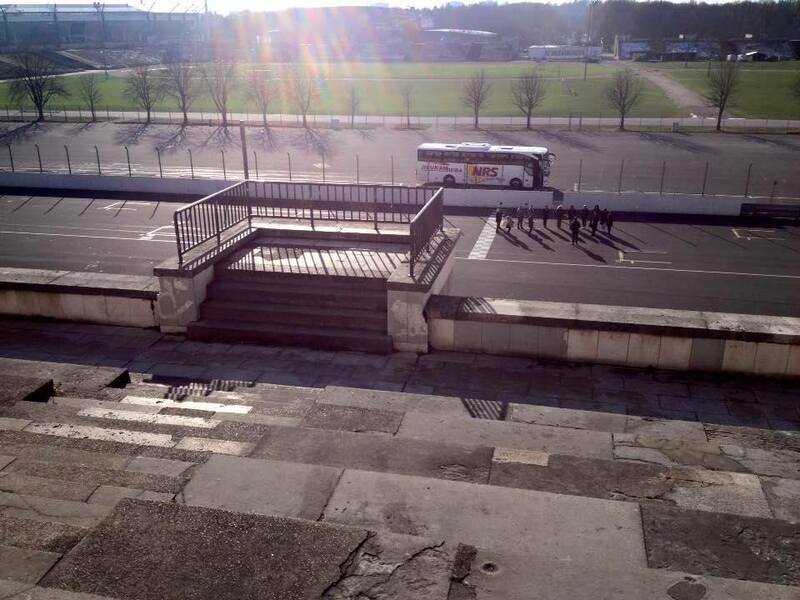 The seats required for UEFA and FIFA competition folded up and locked, with rails to lean on. This stopped each row getting too busy. We found a gap near the end of the row with a cracking view near the back. It was warm enough to enjoy a beer. 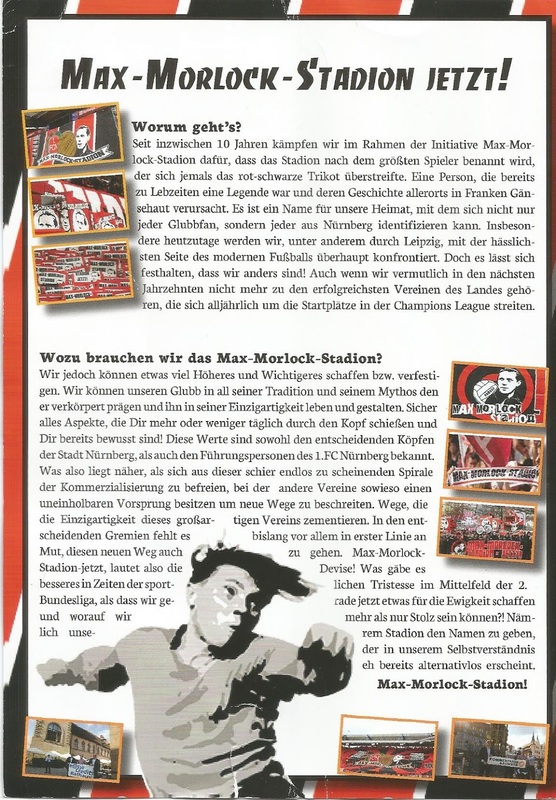 There was a very active campaign from Nürnberg fans to have the Grundig Stadion renamed the Max-Morlock-Stadion after the club’s greatest ever player. Fanzines backed the campaign and ultras raised banners bearing the great mans portrait. The stadium itself was an octagonal shape, with spectator areas raised above pitch level. 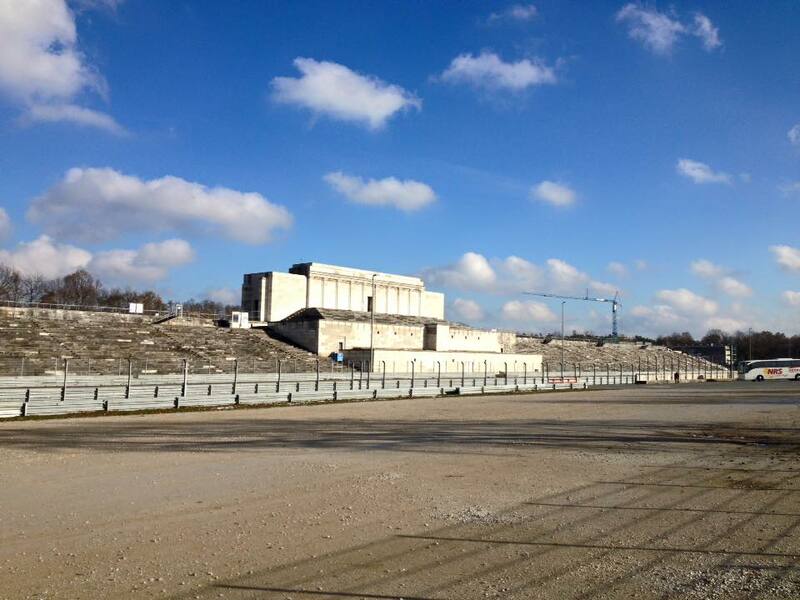 The two tiered Main Stand was a separate structure, with all other stands joined up with two tiers. The atmosphere was pretty good, despite the low gate. The official figure surprised us. We didn’t think that there was that many in attendance. A minute’s silence in respect of the Paris attack was held before kick off. 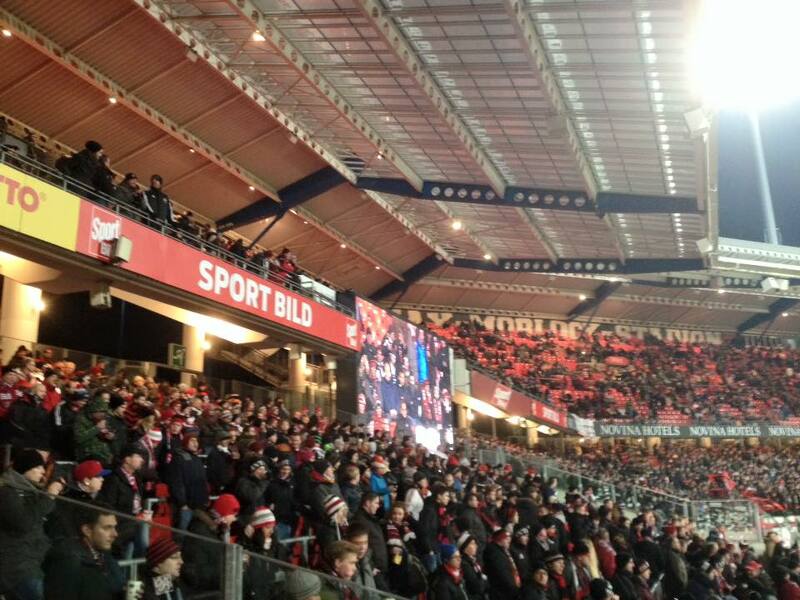 Braunschweig were backed by an impressive turn out for a long distance Monday night game that was being shown live on TV. Their side started out playing some good football and looked the more likely to open the scoring. Alessandro Schöpf failed to convert a half chance with opportunities being at a premium. I was especially impressed by the driving midfield action provided by Eintracht’s Gerrit Holtmann. 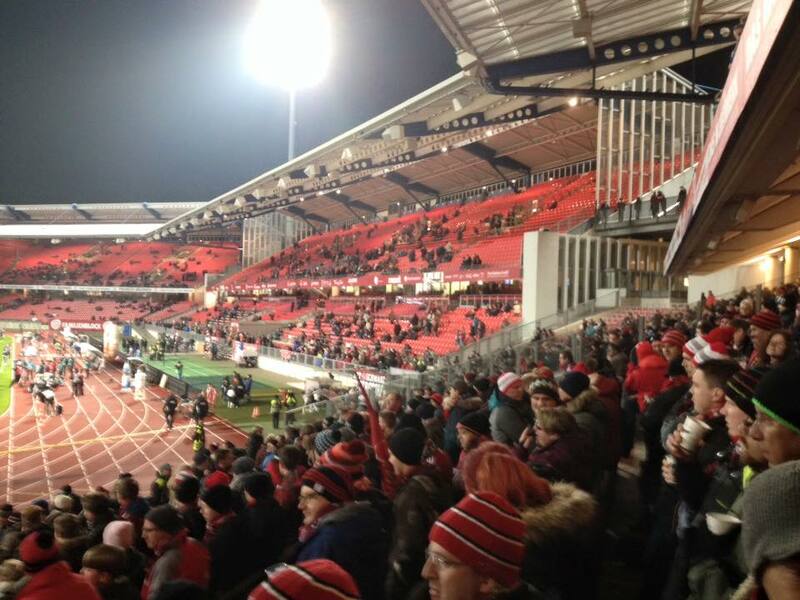 Paul popped out to get the beers after half an hour as Nürnberg took the lead. Niclas Füllkrug broke down the right hand side on the counter to cross for Sebastian Kerk to slot home at the back post. The fans around us made sure we also got involved with the celebrations with high fives and hugs. It was a really nice atmosphere. A fella on the row down was smoking an electronic pipe and sending out huge plumes of smoke. A couple of minutes after the goal, the visitors came close to a leveller. 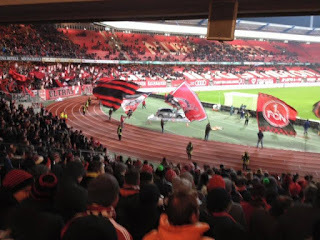 Hendrick Zuck fluffed an easy chance, while home keeper Raphael Schäfer also made a fine save as Nürnberg went back to the dressing rooms with a narrow lead. Joseph Baffo headed against his own woodwork to keep the score at 1-0. Shortly afterwards Braunschweig equalised. Holtmann created an opportunity which Nik Omladic smashed home from twenty yards. It was a fair reflection on the game. The home fans were getting frustrated with Rene Weiler’s side in the mid-table clash. Substitute Kevin Möhwald was making a positive impact and he had a shot pushed onto the woodwork by visiting custodian Rafal Gikiewicz. 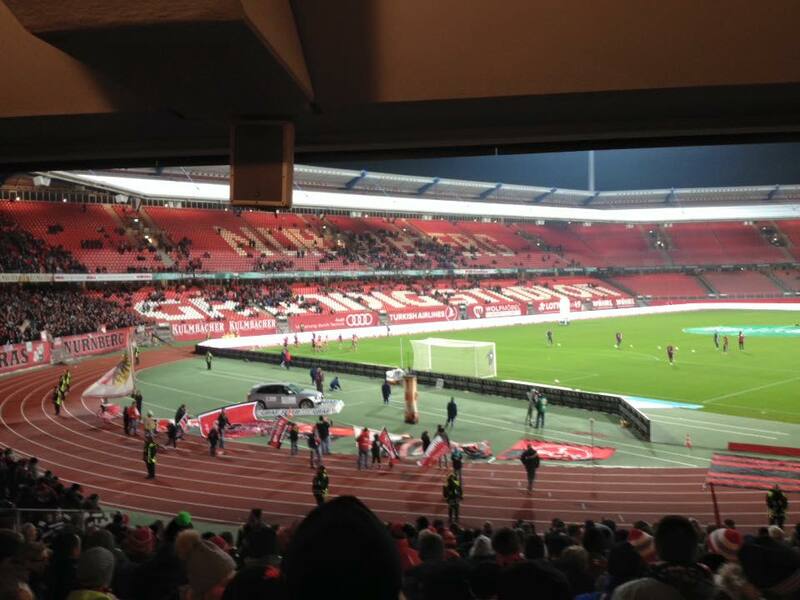 Just as it looked like the game would end in a draw Nürnberg produced a move of real class from a corner kick. The ball came in along the deck and was dummied by the first oncoming player for Guido Burgstaller to strike home at the near post. We were delighted. The home side had grown on us with the fans attitude and friendliness. It had been great to be able to stand up at a game in comfortable conditions. At full time Paul bought a t-shirt at the stall on the way to the station. We caught a train immediately and five minutes later were back at the Hauptbanhof to collect our bags and take another train to Eibacher. A further ten minute walk at the other end had us at our hotel after another interesting day. 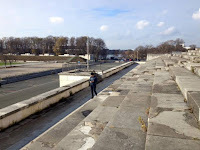 The following day Nick and I returned to the area for a look at the Zeppelinfeld for the scene of some deep history, where the Nuremberg Rallies had taken place with over 200,000 people in attendance under the Nazi rule of Germany. The stands were still there and about to be restored. The Nazi emblems were long gone. The field in the middle was now used for sports. The city of Nuremberg was stunning. Nick and I did some real adventuring around the tight streets and up the steep hill to the castle. The whole place oozed with character and history. I couldn’t recommend it more. After a fascinating trip to some stunning places we arrived back at Stansted to go our separate ways. 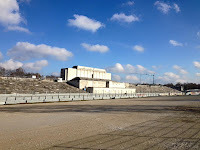 Pictured below are some images of the Zeppelinfeld near to Frankenstadion. Click on any to enlarge. Some very sobering history took place there. 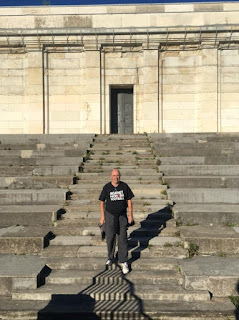 It was a beautiful late summers afternoon and I was back in Nuremberg for a couple of days; primarily to take in the match between SpVgg Greuther Fürth and Hamburger SV that evening as well as plenty of sightseeing and sampling! I’d taken advantage of a week off work by enjoying a bit of cricket before heading to Germany for three days. 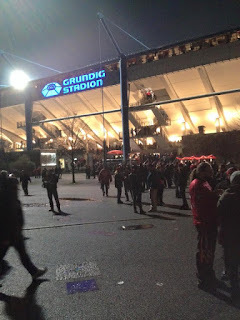 The previous evening I’d been to see Fortuna Düsseldorf go down 2-1 at home to Bayer Leverkusen. I’d gone for a nap on arrival at The Hotel Continental, which was not anywhere near the list of my best hotels visited, but it did the job. I woke after a couple of hours and caught a tram to Doku-Zentrum to take in some beauty as well as dark history. My walk took in the Kongresshalle, Grosser Dutzendteich lake and Große Straße while taking in some lovely views while I listened to a brilliant last session of the County Cricket season live from The Oval as Essex just got over the line to end the unbeaten record of champions Surrey. I had deliberately worked the walk to see previously unseen sights and to walk past Max-Morlock-Stadion in daylight in all its glory. Predictably no gates were open so there was no way I could enter for some photos. Instead I took what I could from the outside and took in the surroundings; realising that the Arena Nürnberger Versicherung, home to concerts, basketball and Nürnberg Ice Tigers ice hockey side was opposite. 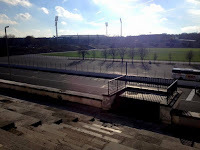 I headed to Frankenstadion station following a visit to the platform in Zeppelinfeld, where Hitler preached to the naïve. Lest we never forget.